14 bit ADC per channel for true simultaneous analog input. 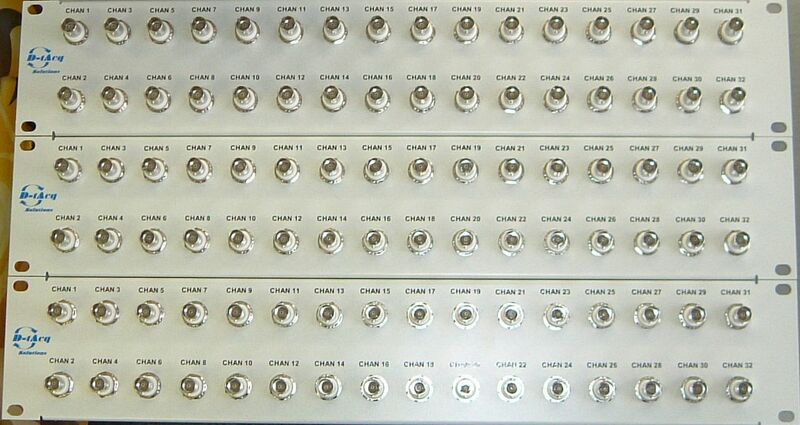 2MSPS/channel (32 channels), 4MSPS/channel (16 channels). continuous converted data transfer to local memory, or offboard via CPCI backplane. 65MSPS Input Sample Rate, length: 4K (32 channel), 8K (16 channel). Uses latest silicon for highest performance at lowest cost per channel. Two soft switched input voltage ranges: ±10V, ±2.5V. Plant cable interface to front panel - 2 x SCSI 68 connectors on front panel. Gigabit Ethernet DAQ system with output to front panel, no RTM required. Compatible with ACQ196 RTM for DIO32 and AO16 expansion options. Ships with 1GB DDR memory on board as standard. 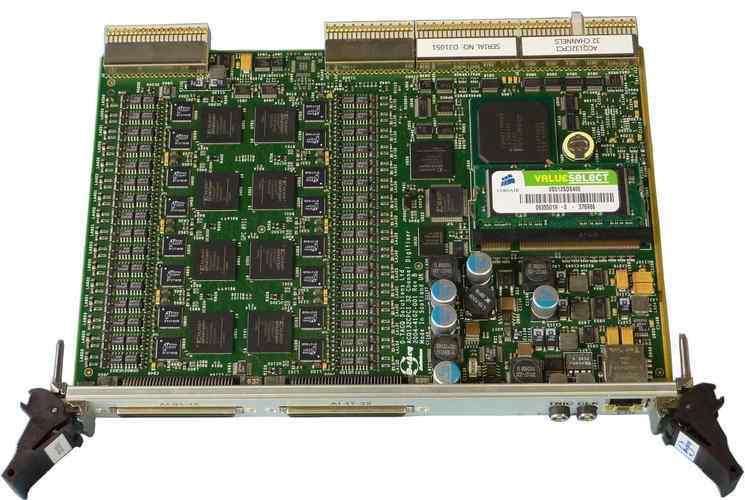 Linux DAQ system on a card, includes 600MHz RISC processor. Easy software enhancement and great connectivity. 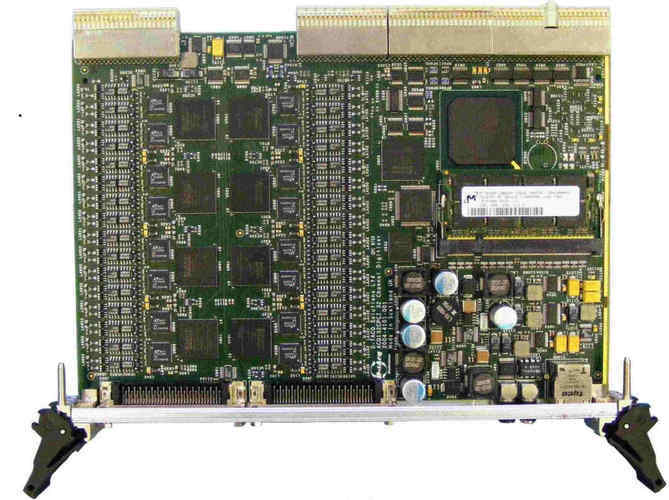 32bit/66MHz backplane PCI interface, huge buffers for streaming data. Runs as traditional peripheral board, also capable of standalone and system slot functionality. Standalone networked mode allows very low cost deployment at point of use. System slot functionality allows the card to control a CompactPCI/PXI peripheral card, for example gigabit ethernet, serial com ports. Oversampling, decimating digital filter option built into FPGA . Option implements a 500 tap FIR filter, 32MHz over sampling for 2MSPS, 16 bit effective operation.